Need an adrenaline fix? 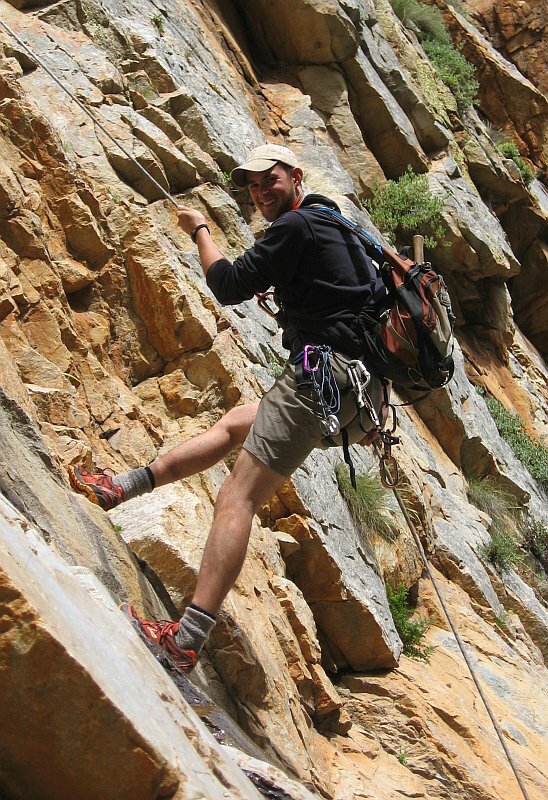 Abseiling 60m off the edge of the Nuy River gorge might just be your remedy?! Our Abseiling (called also RAPPEL in some countries) adventure starts off with a light and scenic 1 hour hike to the edge of the Nuy River Gorge. Right next to a little but high water fall your descend 60m into the gorge. The remoteness and fantastic views are standard. 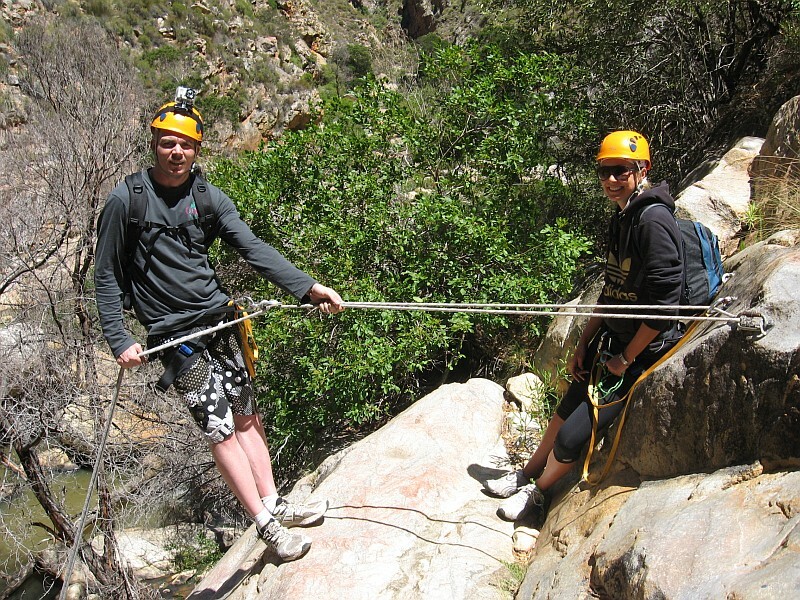 Our Abseil activity is professionally guided and will take a full morning or afternoon. All safety equipment is provided – just bring along a light snack and drinks – or let us cater for you. A minimum booking of 4 people is required – Ideal for team-building, bachelor parties, or family outings. No previous experience needed. This is an Adventure activity and participants will be required to sign an indemnity form before hand.